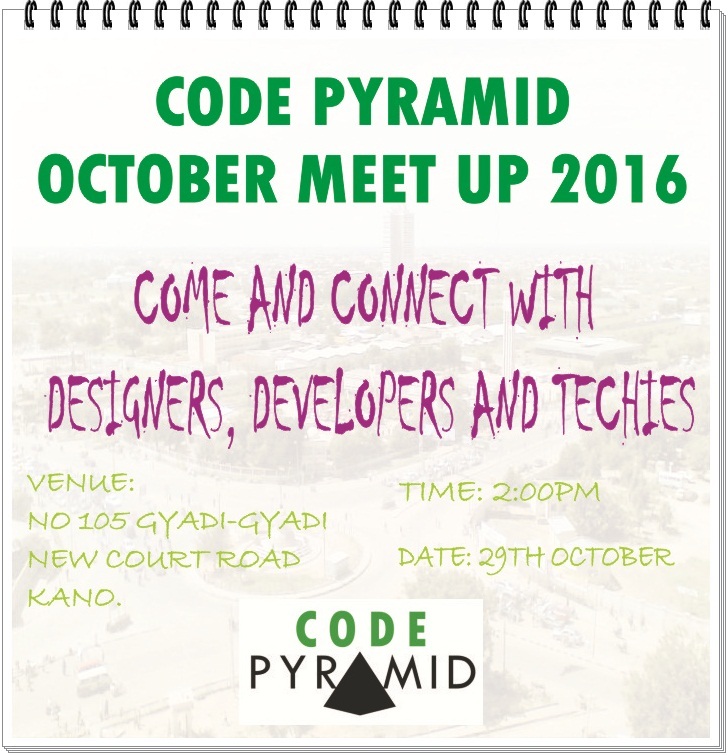 As the saying goes, be the change you want to see in the world, it is for this reason, code pyramid is aimed at organizing a meetup for entrepreneurs, developers and techies alike in a bit to champion the development of technology ecosystem in the heart of kano city. Are you a technology inclined person, this is an opportunity to mingle with other like mind and fine tune a way out to use technology to solves our societal problems, come let set a road map toward building a technology ecosystem in kano. 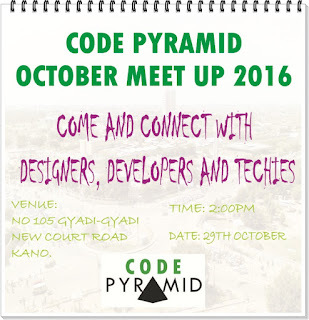 The code pyramid is going to hold this weekend and it shall continue to be a monthly event. hope to see you all at the event.